The physiome is the quantitative description of the functioning organism in normal and pathophysiological states. The human physiome can be regarded as the virtual human. It is built upon the morphome, the quantitative description of anatomical structure, chemical and biochemical composition, and material properties of an intact organism, including its genome, proteome, cell, tissue, and organ structures up to those of the whole intact being. The Physiome Project is a multicentric integrated program to design, develop, implement, test and document, archive and disseminate quantitative information, and integrative models of the functional behavior of molecules, organelles, cells, tissues, organs, and intact organisms from bacteria to man. A fundamental and major feature of the project is the databasing of experimental observations for retrieval and evaluation. Technologies allowing many groups to work together are being rapidly developed. Internet II will facilitate this immensely. When problems are huge and complex, a particular working group can be expert in only a small part of the overall project. The strategies to be worked out must therefore include how to pull models composed of many submodules together even when the expertise in each is scattered amongst diverse institutions. The technologies of bioinformatics will contribute greatly to this effort. Developing and implementing code for large-scale systems has many problems. Most of the submodules are complex, requiring consideration of spatial and temporal events and processes. Submodules have to be linked to one another in a way that preserves mass balance and gives an accurate representation of variables in nonlinear complex biochemical networks with many signaling and controlling pathways. Microcompartmentalization vitiates the use of simplified model structures. The stiffness of the systems of equations is computationally costly. Faster computation is needed when using models as thinking tools and for iterative data analysis. Perhaps the most serious problem is the current lack of definitive information on kinetics and dynamics of systems, due in part to the almost total lack of databased observations, but also because, though we are nearly drowning in new information being published each day, either the information required for the modeling cannot be found or has never been obtained. “Simple” things like tissue composition, material properties, and mechanical behavior of cells and tissues are not generally available. The development of comprehensive models of biological systems is a key to pharmaceutics and drug design, for the models will become gradually better predictors of the results of interventions, both genomic and pharmaceutic. Good models will be useful in predicting the side effects and long term effects of drugs and toxins, and when the models are really good, to predict where genomic intervention will be effective and where the multiple redundancies in our biological systems will render a proposed intervention useless. The Physiome Project will provide the integrating scientific basis for the Genes to Health initiative, and make physiological genomics a reality applicable to whole organisms, from bacteria to man. 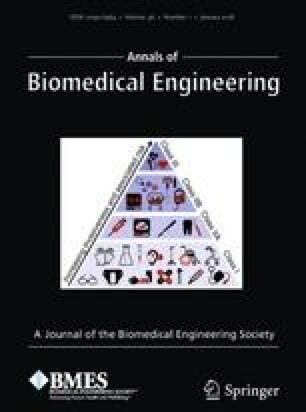 © 2000 Biomedical Engineering Society.